Once here, don’t miss the exhibition about Amerigo Vespucci, on March the 25th 2012, called ”Amerigo’s America- Firenze e i mercanti del nuovo mondo”, in the magnificent Palazzo Rosselli in Borgo Santi Apostoli, nowadays seat of the Florentine European School of Economics. New York has just celebrated the fifth centenary of Vespucci’s death, 22nd February 1512, at the Manhattan Campus of St. John University. Later in October 2012, the Italian Cultural Institute in Tokyo will host the exhibition. The perspective is a new one, Vespucci will be presented through his entrepreneurial skills by highlighting the cultural features of the Florentine merchant, complementary to the ones of the explorer. Living the full blossoming of the Renaissance, as a young man he joined the Neo-platonic Academy of Lorenzo the Magnificent, together with Marsilio Ficino, Poliziano and Pico della Mirandola. After having spent 40 years in Florence, the explorer decided to move to Siviglia, devoting himself to business together with merchants and bankers such as Lorenzo di Pierfrancesco dei Medici and Giannotto Berardi. It was the year 1492. Many great eventshappened. At that time Lorenzo The Magnificent died and Modern Age was beginning. 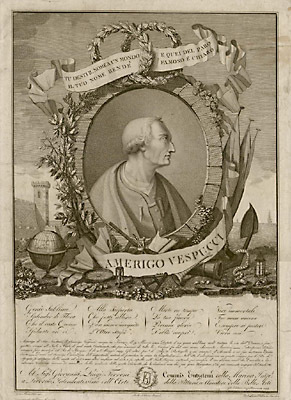 As a learned man, fed on humanistic studies, Vespucci needed to go beyond the known and face new adventures. He sailed in 1499, aiming at exploring the coastline of new lands from Maracaibo to the Amazon River. There he named his discovery Veneziola (thence the present Venezuela) because of the lake dwellings reminding him of Venice. He was quite sure, unlike Columbus, that the newly discovered lands didn’t belong to The East Indies. He was now facing a new world, as he wrote in the letters to his friend Lorenzo di Pierfrancesco dei Medici. A revolution was then taking place, turning the Ptolemaic world upside down. Vespucci’s second voyage started from Lisbon. He sailed through unknown seas and unexplored lands often keeping in mind his homeland. He would name, after his Florentine Borgognissanti, Salvador de Todos Santos( the present Salvador de Bahia). He was a real humanistic man. 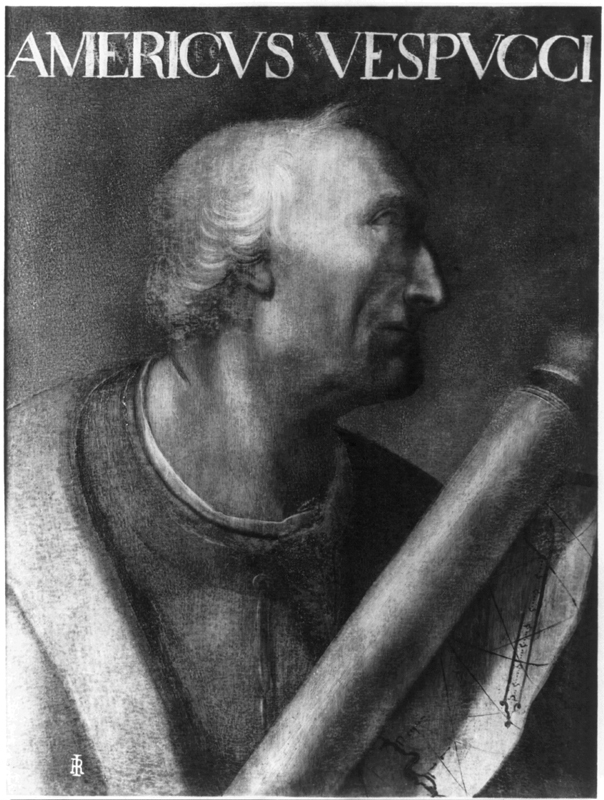 His Mundus Novus, a new world, called after him America, was, a basic discovery, doomed to be a milestone of the Renaissance where politics, economy art and faith would build up the basis of the modern world.